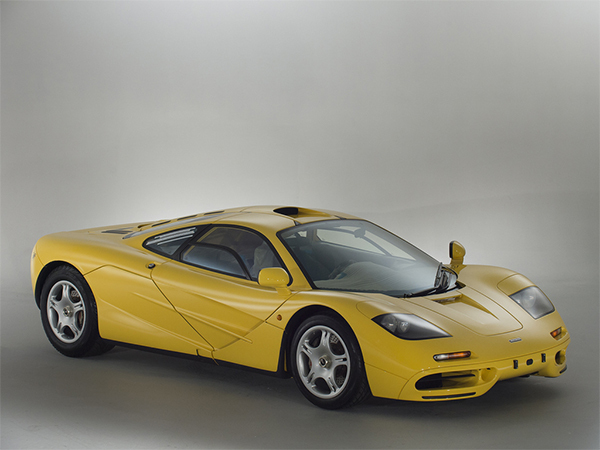 Stop everything you're doing and bask in the banana-colored glory that is the McLaren F1. Easily one of the most important icons of the '90s, the F1 was McLaren's masterpiece, and it defined period-correct raw performance. Now, for the right price if you have deep pockets, this piece of automotive history can be yours. 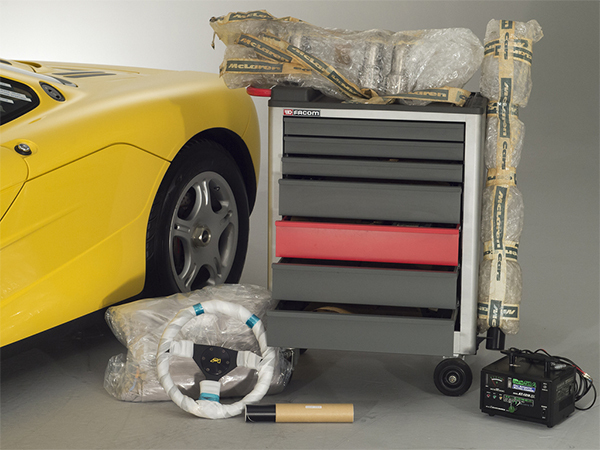 When you were buying a McLaren F1, you weren't just buying another supercar. It was a proper hypercar that might as well have been a precursor to the Bugatti Chiron. Most importantly, it was fast. Quite literally, it became the fastest production car on the road after it was able to reach 240 miles per hour. It held that title for seven years. Power aside, the car was able to achieve its top speed by using ram air ducting, just like an F1 car, to aide its naturally aspirated 6.1-liter BMW V-12 in pumping out the power. Even without the top speed being taken into account, the F1 was quick for its time. It made use of all 627 horsepower when propelling the car from zero to 60 in just 3.4 seconds, and even ran all 1,320 feet of the quarter mile in 11.6 seconds. Oddly enough, the F1 had three seats in it. 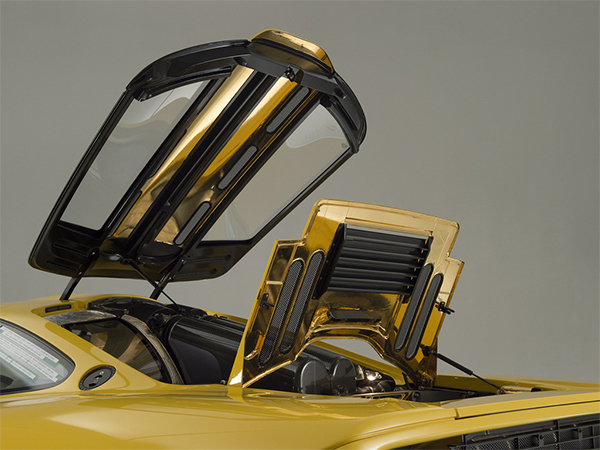 The driver was positioned in the center of the car, not only to make the driver feel special (after all, they did just spend close to a million dollars on a car), but to avoid having an offset pedal box, something which designer Gordon Murray felt was a problem that plagued competing supercars. 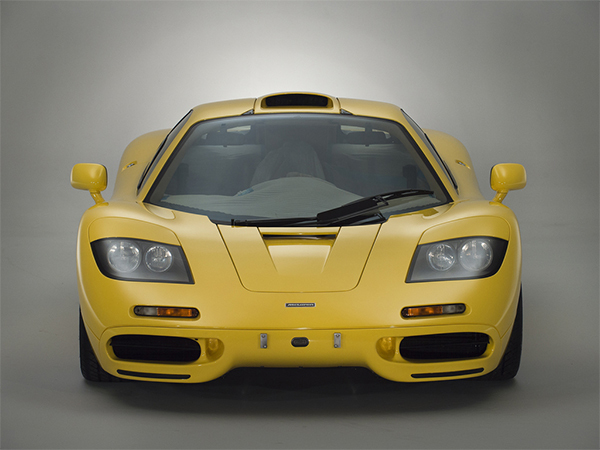 If you owned a McLaren F1 back in the day, you had money. We're talking about a spare $815,000 in 1997, which is a cool $1.2 million in today's money given inflation. Big hitters like comedian Jay Leno, fashion mogul Ralph Lauren, and Gordon Murray (the original designer of the F1) ponied up their hard-earned dollars to buy and enjoy an F1. Rowan Atkinson and Elon Musk (back before he rebuilt his hairline) were owners who both got into accidents in their F1s, one of which was uninsured. To this day, the F1 has appreciated in value. Given that only 106 cars were made, and a handful of them have been destroyed or put in private collections, it's not far out to expect the prices to skyrocket. Recently, an F1 with 9,600 miles sold for a steep $15.62 million at Bonhams auction, proving that the collector valuation is very real. Now, chassis No. 60 can be yours, as long as you can foot the bill. In fact, it can likely be expected that this F1 will fetch a good bit more. Not many cars have fetched over that selling price, except for maybe a Ferrari 250 GTO Berlinetta. This particular F1 has 148 miles on the click, which means that it's literally brand new and is the lowest mileage F1 in existence. 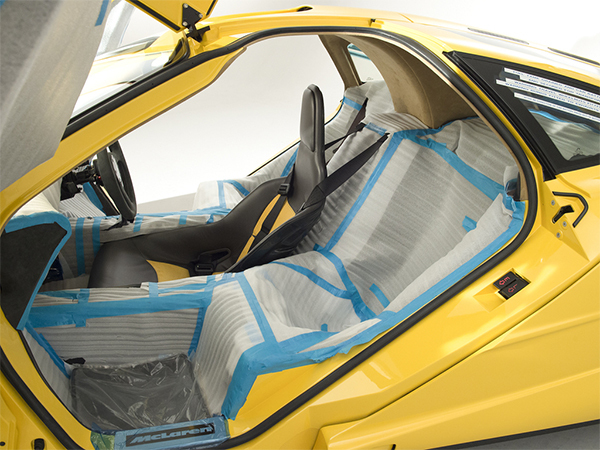 The seats still have its factory protective wrapping and tape, the vibrant yellow paint appears pristine, and the factory extras are still new-in-box. It's truly an experience to just witness the time capsule existing in such a state, especially given the car's already rare stature. If you want to inquire about the vehicle, it's up for sale right now for an undisclosed price.